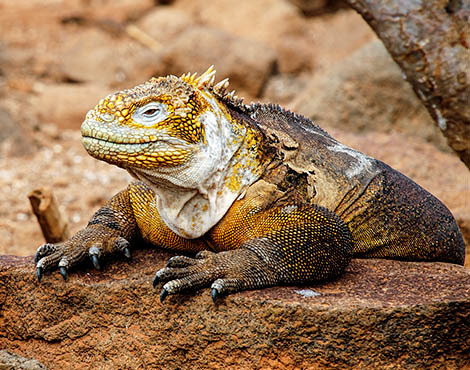 Floreana is the sixth largest island in Galapagos and used to be home to some of the most iconic species in the Archipelago, including the Floreana mockingbird, racer snake and giant tortoise. Around 150 years ago, however, the first human settlers arrived on the island and since then its magnificent wildlife has come under threat from invasive species such as rats and cats. We are aiming to restore Floreana to its former glory. Floreana island has a particularly interesting social history. According to reports it was the site of the first ‘post office’ used by travelling whalers and home to the very first settler in Galapagos, an Irish sailor named Patrick Watkins. It was also the first island colonised by Ecuadorians, and today is home to a small population of around 140. This small community is proud to live alongside some of the Archipelago’s most unique flora and fauna. Much like the other inhabited islands in Galapagos, however, Floreana has suffered from the introduction of damaging, non-native (invasive) species by humans and the impact has changed the landscape significantly. The introduction of invasive species has had devastating effects on Floreana’s local wildlife. 55 species found on the island are currently listed on the IUCN Red List, including two that are critically endangered. 12 species are now locally extinct, including the Floreana mockingbird and Galapagos racer, the reason for which is widely thought to be due to introduced cats and rats. Fortunately the racer and mockingbird have survived on the neighbouring islets of Champion and Gardner where such invasive species are not present, and other locally extinct species are found elsewhere in the Archipelago. One species, the Floreana giant tortoise is extinct. GCT is supporting Island Conservation and other project partners to undertake one of the largest, and most complex, eradication projects ever conducted on an inhabited tropical island, with the ultimate goal to reintroduce locally extinct species to Floreana. To date no project has ever successfully removed invasive rats and cats from such a large inhabited island. Engagement and leadership by the local Floreana residents is crucial for this restoration project to succeed. 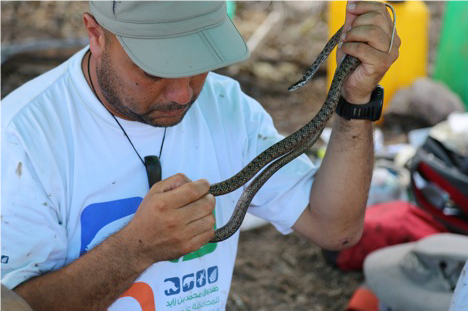 Fortunately, the Floreana community is fully committed to preserving and restoring their local wildlife. The eradication of rats will benefit the local farmers as invasive rats decimate crops and eat livestock food. To ensure native species are not impacted, bait mitigation trials are being conducted to inform implementation plans. Mitigation – ensuring that all vulnerable species, as well as humans and livestock, are adequately protected during the baiting phase of the project. Eradication – targeted baiting to eradicate non-native rats and feral cats. 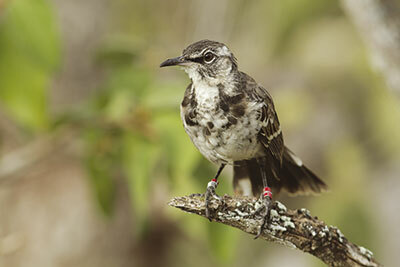 Reintroduction – reintroduction of locally extinct species including the Floreana mockingbird and Galapagos racer. In 2018, the team concentrated on laying the groundwork for the project. This included drawing up risk management plans for livestock and people, as well as undertaking a thorough risk assessment for all native species on the island. Key species, including those of special evolutionary significance, have had a detailed plan-of-action created to ensure that they are protected during the eradication phase of the programme. The long-term goal of the project is to create a healthy, thriving ecosystem on Floreana island by restoring it to its former glory, including reintroducing species that have gone locally extinct as a result of invasive species. This will include mitigation trials to ensure that vulnerable species can be protected during the baiting phase and building infrastructure that will protect livestock. The eradication work is due to begin in late 2020. In addition to the restoration work, we fund the Floreana mockingbird and racer reintroduction projects that aim to bring these species back to their rightful home. The team will continue monitoring the populations of Floreana mockingbirds and racers on Champion and Gardner islets, the data from which will be essential for planning reintroductions to Floreana. Initial surveys have been undertaken on Floreana to assess habitat suitability for their reintroductions and, once invasive species have been eradicated, the team will pave the way for the reintroduction of these, and other locally extinct species to Floreana. 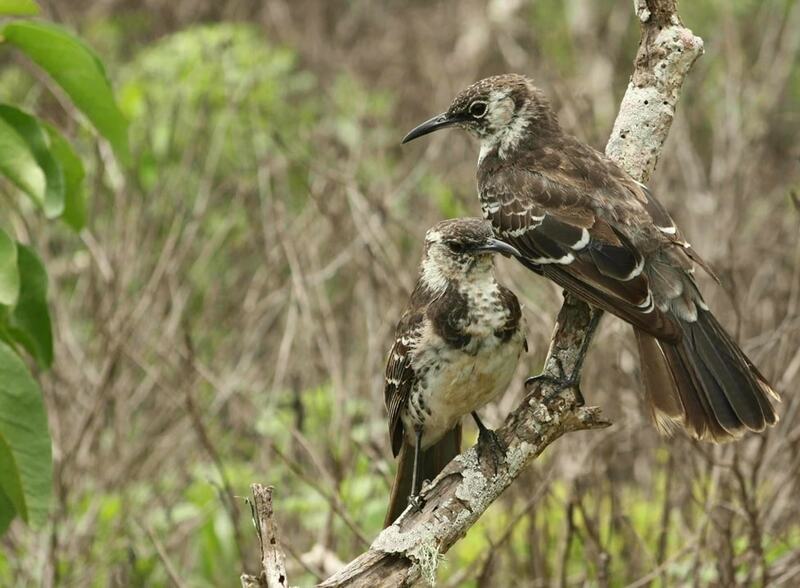 Help us to restore Floreana to its former ecological glory by donating today or by adopting a Floreana mockingbird.